Sunday was a powerful morning. I was personally moved by how the Spirit of God seemed to be using the topic of gentleness to touch hearts and reveal the loving gentleness of God. There were tears in each service. To be honest, I had thought this would be a nice, low-impact series to carry us from the Lord series into the Christmas season, but God seems to have bigger plans. He always does. I was reminded of the proverb about the power of a timely word: “The right word at the right time is like precious gold set in silver” (Proverbs 25:11, CEV). Gentleness isn’t a personality trait for certain people and not for others. As a fruit of the Spirit (Galatians 5:22-23), gentleness is something for every believer to cultivate and grow. No one is exempt, and no one is disqualified. This is a gift of the Spirit of God for every one of us. 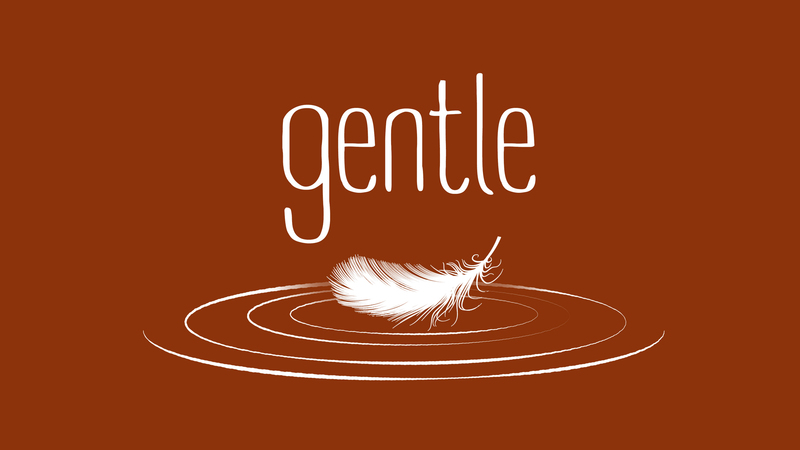 This week we look at the beauty and allure of gentleness. Peter told the church always to “be prepared to give an answer to everyone who asks you to give the reason for the hope that you have. But do this with gentleness and respect” (1 Peter 3:15). Dallas Willard, a Christian philosopher and author of many great books, offered one final book before he passed away in 2013 called The Allure of Gentleness: Defending the Faith in the Manner of Jesus. Even at the intersection between Christianity and unbelief, even in those places where it feels that the Christian faith is under attack, the only way to reveal Jesus is to act like Jesus. We deal with one another gently and with respect. There is an allure, an attractiveness to this quality, this fruit we call gentleness, even in the moments when our convictions are deep and emotions high. Because God reigns, we can live in non-anxious peace. Gracious Lord, we are thankful to be drawn into your kingdom. We are thankful, wherever we are in our work, in our family, in our play, or whatever else may be happening, to know that we are under your kingdom rule, that heaven is over us, and that our God reigns. Lord, help us to be simple, humble, and thoughtful as we listen to others and help them come to faith in the One who has given us life. In Jesus’s name we pray. Amen.